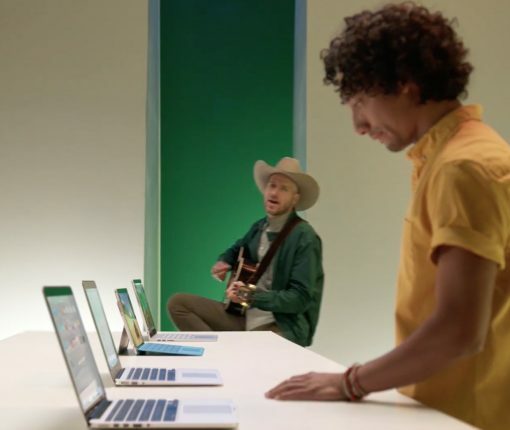 If you believe Microsoft, Apple fans are so disappointed with the new MacBook Pro that they’re now switching to Surface PCs and laptops in droves. In a blog post Monday by Brian Hall, CVP Microsoft Devices Marketing, trash-talked the new MacBook Pro, openly calling it a “disappointment”. 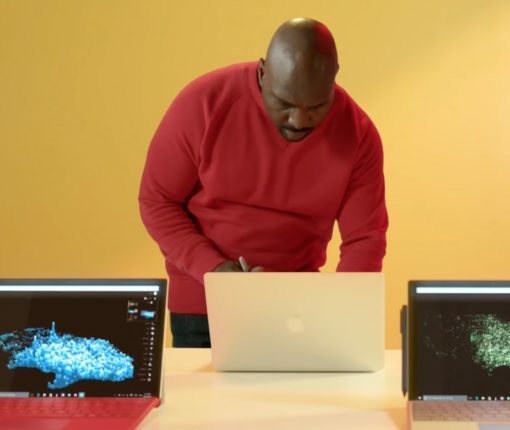 In the same breath, he suggested that the excitement of new Surface products coupled with the supposed MacBook Pro disappointment is now encouraging more people to switch from Macs to Surface than ever before. It’s been only three days since Microsoft’s advertising department unleashed a new ad salvo at Apple’s direction in the form of a commercial for its Surface Pro 4 tablet/laptop hybrid and now it’s posted yet another video to conveniently reiterate its message ahead of iPhone 7’s launch tomorrow. Titled “Power of Touch”, the 30-second commercial doubles down on the ”the Mac lacks a touchscreen” theme. Not only does Microsoft poke fun of the fact that Macs are long overdue for a refresh (yours supposedly “ain’t fast enough” lately), but also disses the Mac for not shipping with a detachable keyboard or a stylus. Microsoft over the weekend fired another ad salvo at Apple’s tablet/computer strategy with a new (somewhat) amusing commercial. Simple titled “Get the Surface Pro,” the 30-second ad highlights Microsoft’s Surface Pro 4 hybrid device which includes a stylus and comes with a detachable keyboard and an Intel chip allowing it to be transformed into a computer that runs Windows, Office and other real desktop applications. 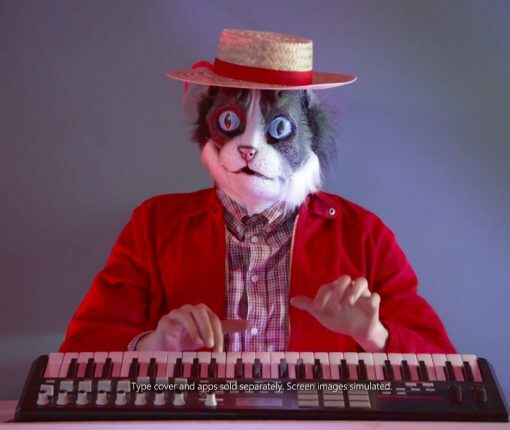 Following its recent iPad Pro-dissing commercial, Microsoft today released another nicely done Surface Pro 4 ad which takes aim at the MacBook Air, calling it “less useful, like a hat for your cat”. 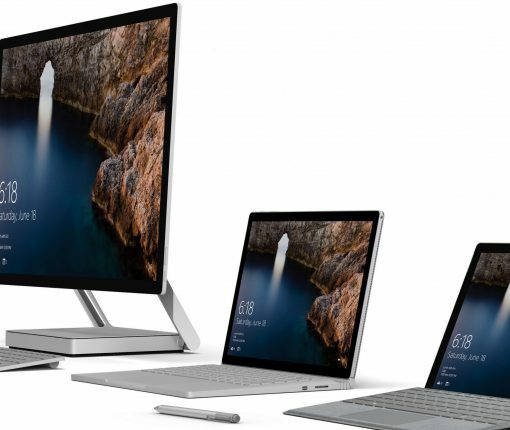 Surface ads have successfully promoted competitive advantages of the hybrid device, which comes with a detachable keyboard, pen, touchscreen and more. And thanks to an Intel chip, it runs the full Office suite and most other Windows programs, like Photoshop. What’s a computer? Just ask Cortana. Apple’s most recent iPad Pro commercial attempts to position the powerful tablet as the ultimate computer, but Microsoft begs to differ. But in its latest commercial for the Surface Pro 4 laptop/notebook hybrid, the Windows maker challenges Apple by basically saying that just because you call something a computer doesn’t mean it fits the description. “Cortana knows that the Surface Pro 4, with its powerful Intel Core processor, detachable keyboard with real keys and a trackpad, pen, touchscreen, full Office and external ports fits the description. Everything else is just late to the party,” says Microsoft. Microsoft is back at it with new commercials that build up to the “I can’t do that on my Mac” tagline. The Windows giant kicked off the new theme with commercials for Windows 10 that highlight some of the things “Macs can’t do” such as its built-in Cortana personal digital assistant, support for inking and drawing on notebooks with built-in touchscreens and the ability to log in to Windows with your face. Yesterday, Satya Nadella & Co. posted new commercials for its Surface Book, a device marketed as “the ultimate laptop” because it’s performant and versatile. 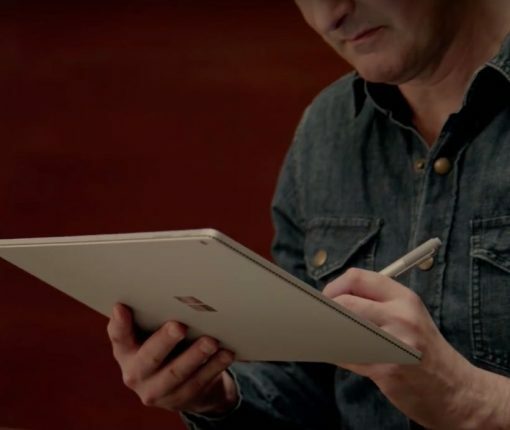 The commercials, first spotted by The Loop, gush over Surface Book features such as a high-resolution screen and the responsiveness and precision of its stylus. 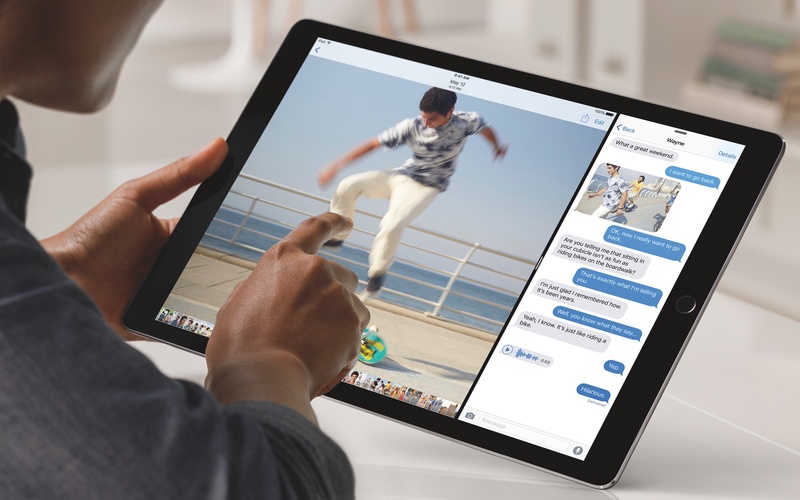 Apple’s new iPad Pro with its massive 12.9 inch screen offers a stellar viewing experience but the device doesn’t quite match the quality of the iPad mini 4’s screen, according to an excruciating barrage of mobile display tests conducted by technology experts over at DisplayMate. Surprisingly, the iPad Pro’s panel ranks slightly lower than that on Microsoft’s new Surface Pro 4 tablet/laptop hybrid and earns the same “A” rating as the iPad mini 4. Which has lower latency: Apple Pencil or Microsoft’s Surface Pro 4 stylus? Microsoft’s fourth-generation Surface Pro offers stylus and keyboard cover accessories just like Apple’s newly released iPad Pro. Apple, of course, is adamant that the Pencil is the best stylus on the market because it has virtually no lag or delay. The Apple Pencil takes full advantage of iOS’s predictive touch technology, the iPad Pro’s special screen design and sensors in its tip that measure every nuanced stroke, angle and pressure. After putting the device through its paces, El Mundo writer and photographer Angel Jimenez de Luis concludes that Apple’s stylus has a bit lower latency than Microsoft’s, and he posted a video showcasing tracking capabilities of both accessories. In addition to launching the new $899 Surface Pro 4 with the Surface Pen stylus, Windows giant Microsoft has another highly-popular Apple product in its crosshair: the MacBook Air. Billed as “the ultimate laptop,“ the Surface Book is another hybrid device from Microsoft. Featuring an accurate, responsive stylus, multi-touch support and a high-resolution 13.5-inch optically bonded screen that detaches easily from the keyboard, the new Surface Book promises to offer best of both worlds. 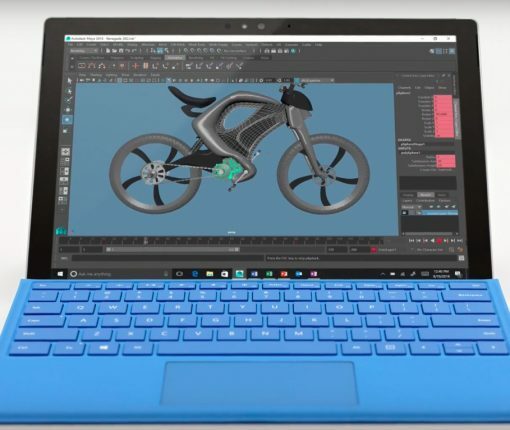 Software giant Microsoft today announced its next-generation Surface Pro laptop/tablet hybrid, the Surface Pro 4. Designed to take Apple’s upcoming $799 12.9-inch iPad Pro, the $899 Surface Pro 4 offers updated hardware and software features like Windows Hello, the Cortana personal assistant, and of course Windows 10. 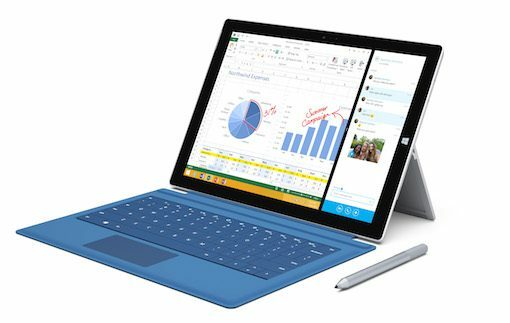 The thinnest and most powerful Surface yet, the Surface Pro 4 features a larger display than its predecessor, fitting a 12.3-inch display in the same physical footprint as the older twelve-inch device, making the laptop/tablet hybrid compatible with the existing crop of keyboard accessories on the market. 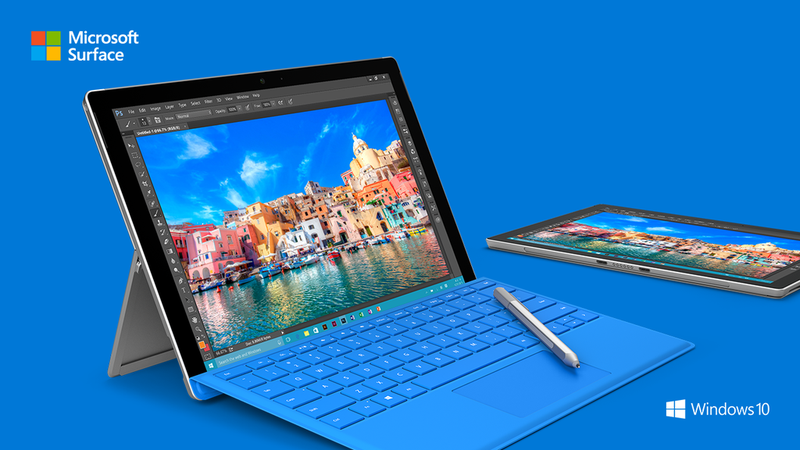 Microsoft also designed a brand new stylus to go with the Surface Pro 4. 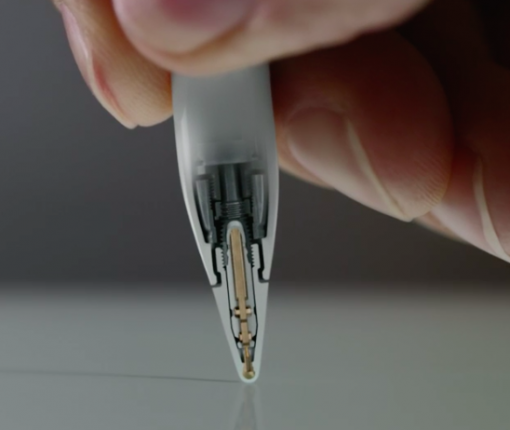 They’re calling it the Surface Pen and it’s extremely sensitive at detecting 1,024 levels of pressure. 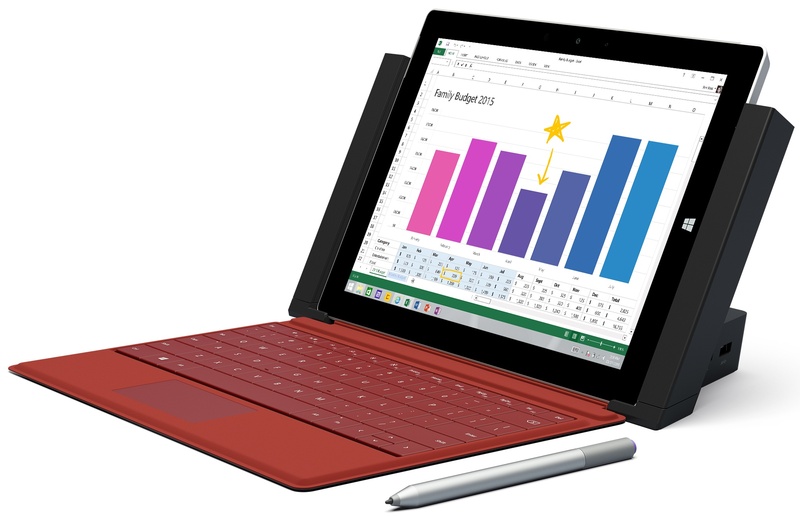 Microsoft on Tuesday upped the ante in the tablet race by announcing a new version of its Surface tablet/laptop hybrid, the Surface 3. Matching the iPad Air’s starting price, the $499 device is being advertised as Microsoft’s lightest, thinnest and least expensive tablet yet. This non-Pro, low-cost version of the Surface runs Intel’s new 1.6GHz quad-core Atom x7 chip (the highest performing Atom processor on the market) rather than an ARM-based processor, putting another nail in the Windows RT coffin. 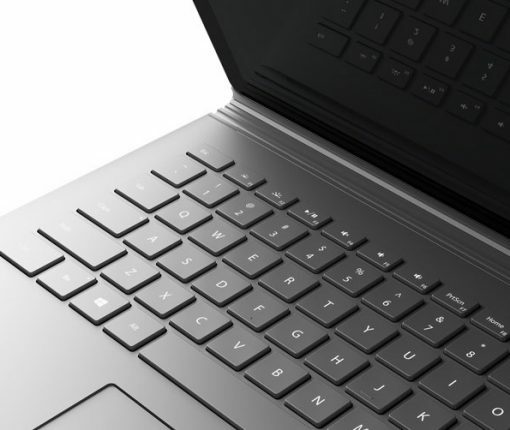 The hybrid device has two gigabytes of RAM and sixty-four gigabytes of flash storage, runs full Windows 8.1, is upgradable to Windows 10 and offers an optional colorful keyboard at $129 for a $628 total before taxes. Software giant Microsoft is no stranger to Apple bashing. Every once in a while, the Redmond giant take aim at Apple’s iPad tablets and MacBook Air ultra-thin notebooks by putting out aggressively conceived television commercials for its Surface tablets. Just in time for the looming holiday shopping season, Microsoft started airing a brand new Surface Pro ad that argues that its tablet convertible with a kickstand, keyboard cover and desktop apps is a better deal than the MacBook Air.